Earning trust with Google is no different from earning trust in the real world. Your real world practice reputation determines whether existing patients come back to you and whether prospective patients choose you as their chiropractor. Search engines operate under the same premise: if you want to be rewarded, you first must earn their trust. This is why search engine optimization can be such a delicate practice. Some SEO techniques are outdated and no longer work. Other, more questionable, methods can lead your chiropractic website down a slippery slope. Trust is among the most powerful factors. And backlinks to your website are one way of showing search engines that your site is trustworthy. Also known as inbound links, backlinks consist of any link to your website from another website. Search engines like Google place some weight on the number and type of online sources that reference your chiropractic website. The logic is pretty straightforward: if other sites are willing to vouch for you, then you’re more likely to be a trusted online source. In terms of SEO, and what you can do to improve how well you rank in Google, it’s not quite so simple. The challenge is finding who should reference (or link to) you, and how to go about getting their reference. The traditional form of “link building” involved a down-and-dirty approach to rapidly boost a website to the top of search engine results. The idea was to improve search rankings with as little effort as possible. This was a philosophy that was used and abused over the years, which forced search engines to modify their algorithms. Link farms: These comprise large groups of websites that mutually link to one another. Link farms can attract thousands of backlinks for a nominal price. This was effective in the old days of SEO, as the sheer quantity of backlinks could significantly improve your rankings. But the search engines got smarter. In the modern days of SEO, quality and relevance are the deciding factors. Comment spamming: This practice involves leaving automated comments on blog posts across the Internet, generally not relevant to any specific industry. This can also generate a lot of backlinks, as the software can submit thousands of comments within a matter of seconds. While your website is linked to the comment “author,” search engines will discount the backlinks as irrelevant. Google uses the quality of your backlinks as one factor of determining trust. And that’s why black hat SEO tactics often do more harm than good. In the real world, you lose patients. In the SEO world, you lose search engine rankings. Aggressive tactics to acquire links (through practices like link farms and comment spam) often hold little or no value. Worse, they could even draw a red flag that will drastically reduce – or wipe out altogether – your search engine rankings. Of course, this isn’t to say getting sites to link back to you is impossible. This is where we distinguish between “link building” and “link earning.” The latter certainly takes more effort, because it requires that you establish a certain degree of trust. But over the long haul, it draws a much greater return. One of the most effective link earning techniques is to create quality content that makes your website worthy of a backlink. By publishing engaging content that provides value to readers, you’ll establish yourself as an authority. After publishing your content, you can then take steps to promote it. For instance, posting a link to your latest blog article on social media will help draw attention to your website. When it comes to improving your website’s online authority, search engines want to see that you are attempting to do so ethically. The reason why link earning can be so effective is that it establishes trust with search engines. Just like your patients, they want to feel that your actions are ethical. Unfortunately, there are still many “web marketing” companies that rely on dated SEO shortcuts, like the aforementioned strategies. 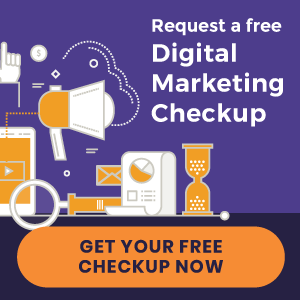 These shortcuts usually do more harm than good, and can mark your website with a glaring red flag – creating more work for you in the long run. Interested in learning more about improving your online presence? Subscribe to our blog and get our latest posts sent straight to your inbox! « Chiropractic Website Design | Gray Chiropractic and more just launched!